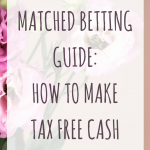 June 12, 2017 By Morgan M Woods Leave a Comment This post may contain affiliate links. 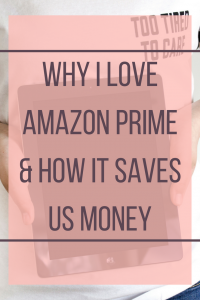 I tend to encourage people to save their money and not buy unnecessary items, but I’m going to tell you why I love amazon prime and how it actually saves us money throughout the year. Despite it costing £79 each year, we continue to use the service & we aren’t about to stop any time soon. Heres why.. So this was the initial reason I signed up to Amazon Prime, free one day delivery on so many items! This was a no brainer at the time, it was around Christmas, I had lots to buy so I signed up to the 30 day free trial with the intention of cancelling. I soon discovered there was a lot more to Amazon Prime than just free delivery. Click here to try Amazon Prime yourself for 30 days free! Prime video is the instant streaming service Amazon provide to all Prime customers. You can add as many devices to your account as you need but can only stream on 2 devices at one time. We get a regular supply of new and old films and some awesome Amazon Original shows. Recent movies we’ve watched include Bad Moms & John Wick. My favourite show is Lucifer, which is now over until next year 🙁 season one and two are both still free to watch though, yay! This service alone could completely replace Sky or any other tv subscription you have. I’ll be honest I haven’t really used this service myself but my partner and my children do. 2 million songs are included in the Prime membership to stream whenever you fancy, there is something for everyone. Something I’ve recently started using is the Subscribe and Save feature on Amazon. Set up regularly scheduled deliveries and earn savings with Subscribe & Save. Unlock extra savings on eligible subscriptions when you subscribe to five or more products at one address on your monthly delivery day. From nappies to toothpaste to dog treats, you can subscribe to thousands of everyday products from Amazon and Amazon Marketplace. I’ve started ordering my cat supplies this way and it works out so much cheaper! I have set up a cat food order to arrive every 2 months and cat litter once a month. This also saves so much time and I don’t have to lug about heavy bags of litter. and this is the cats food. The cat food works out at £3.80 a bag whereas in shops the cheapest I can find it is £4.50 when its on offer. When you subscribe to 5 items each month you unlock bigger savings on eligible products. Amazon Prime memebership also includes Prime Reading, tons of books and magazines all free to read on your tablet or phone. I’ve seen Harry Potter books on there recently for free as well as Good Housekeeping, Glamour magazine and Men’s Health. Prime Photos where you can store unlimited photos from any device. You also get Primes early access to their lightening deals meaning you get first dibs on any bargains they have. 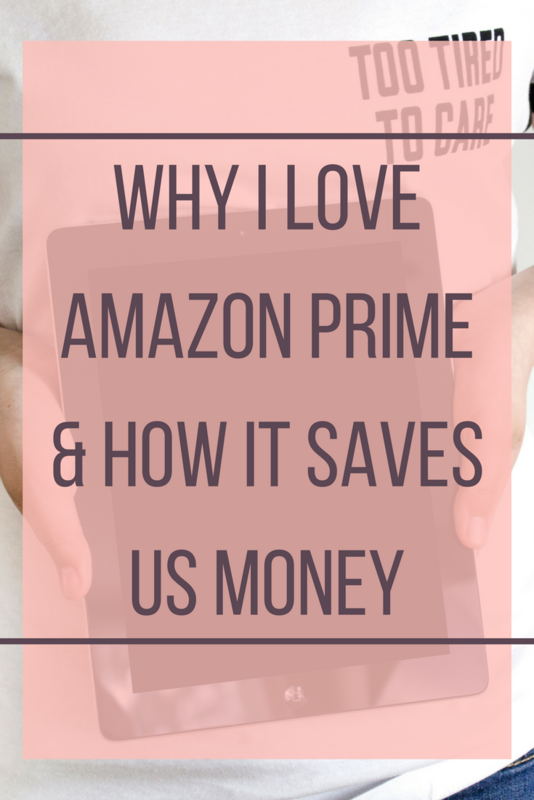 We really love our Amazon Prime account and find it saves us so much money on films, music, books and magazines, and normal household stuff. At Christmas time especially we’re able to pick up some great bargains and with free delivery too. For us the £79 subscription pays for itself by saving us so much money on other things. Try Amazon Prime yourself for 30 days free! You can cancel at anytime (unless like me you find it saves you money). Let me know if you enjoy it as much as we do!